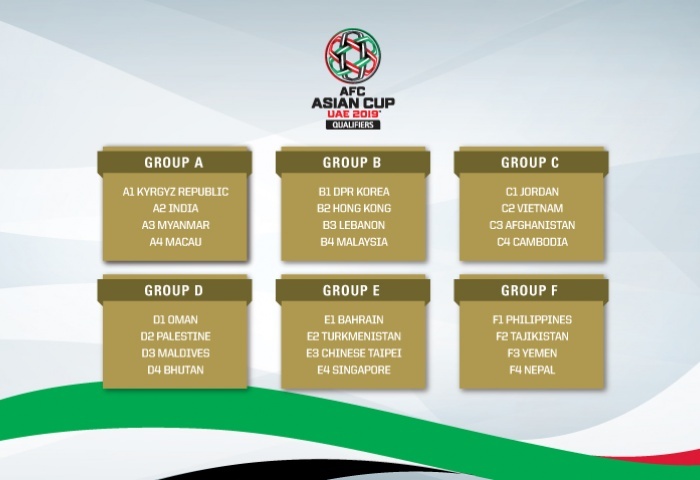 India were grouped alongside Kyrgyz Republic(Kyrgyzstan), Myanmar and Macau in the draw for the AFC Asian Cup QUalifiers UAE 2019 which took place in Abu Dhabi earlier today, 23rd January 2017. The winners and runners up from each group will qualify for the final competition of the AFC Asian Cup UAE 2019. India begin their campaign against Myanmar on 28th March 2017.